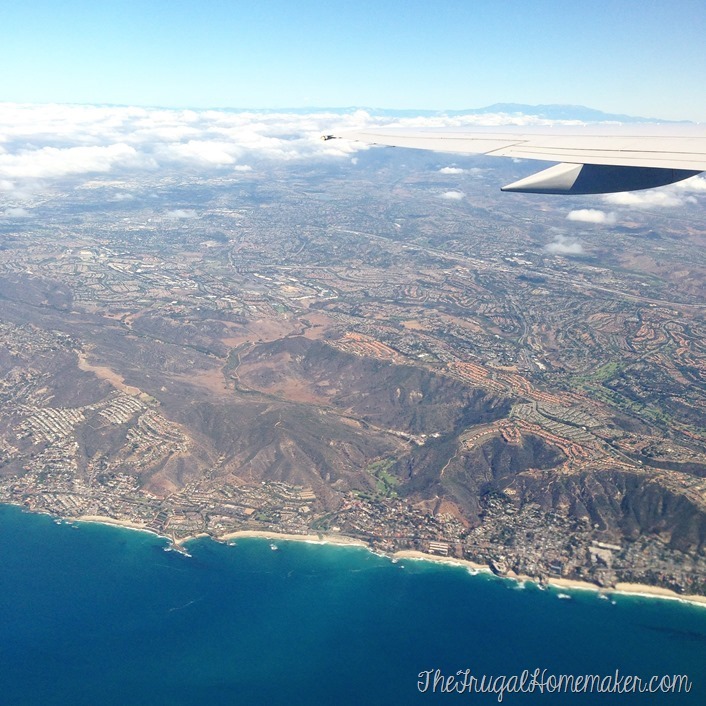 If you didn’t see on facebook or Instagram last week, I flew across the country and went to California! California. Still feels like a dream. And I got to see the Pacific Ocean. Definitely a dream come true! But let’s back up to the day when I got this cute paint can in the mail with an invitation from Behr Paint. 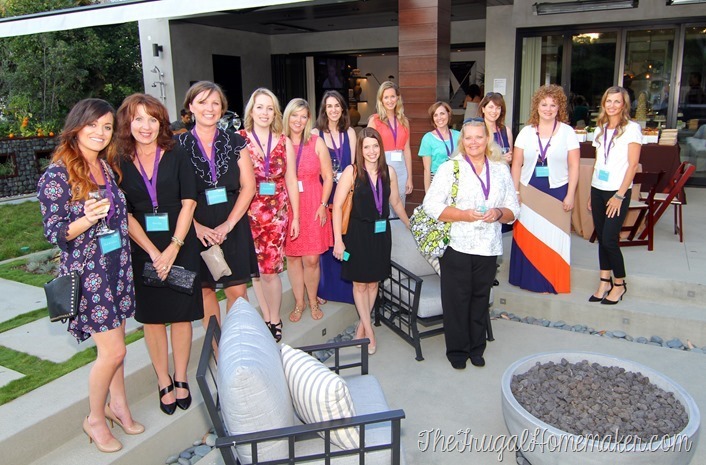 They invited me along with the other Behr DIY Expert bloggers to come out to California to tour their corporate offices, see the Sunset Magazine Idea House which had been painted in all Behr Marquee colors, and see how Behr paint is developed and made. 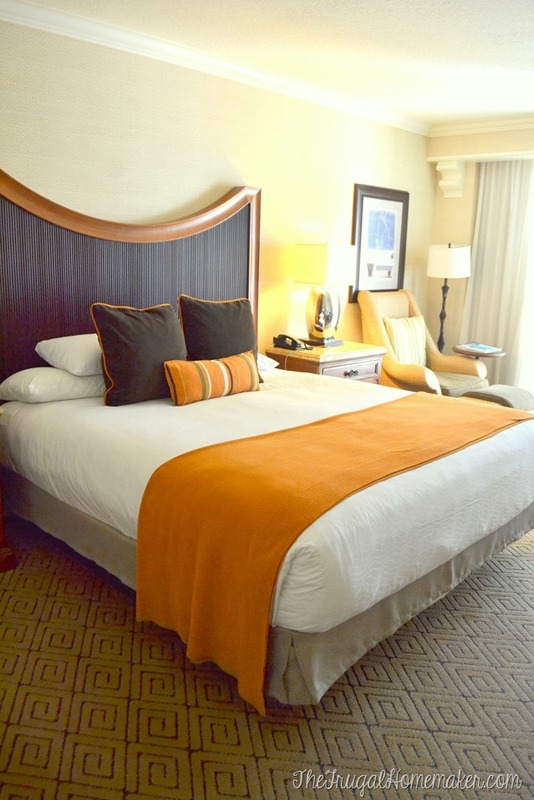 We all stayed at the fabulous Hyatt Regency Resort and Spa in Huntington Beach just a few minutes from Behr corporate. My room was amazing! And the Pacific Ocean was just a few steps away across the street from the resort. 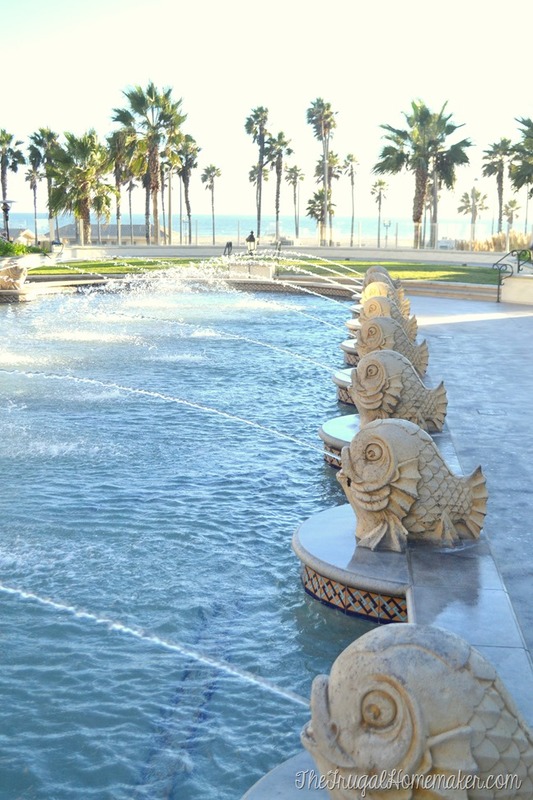 Our first evening, we headed to Manhattan Beach to the Sunset Magazine Idea House. This home was beautiful! The interior was painted completely with Behr Marquee paint (most of it was painted with Cameo White) and was decorated in modern California style. Check out that kitchen. And there was a butler’s pantry off of it too. This room was one of my favorites! 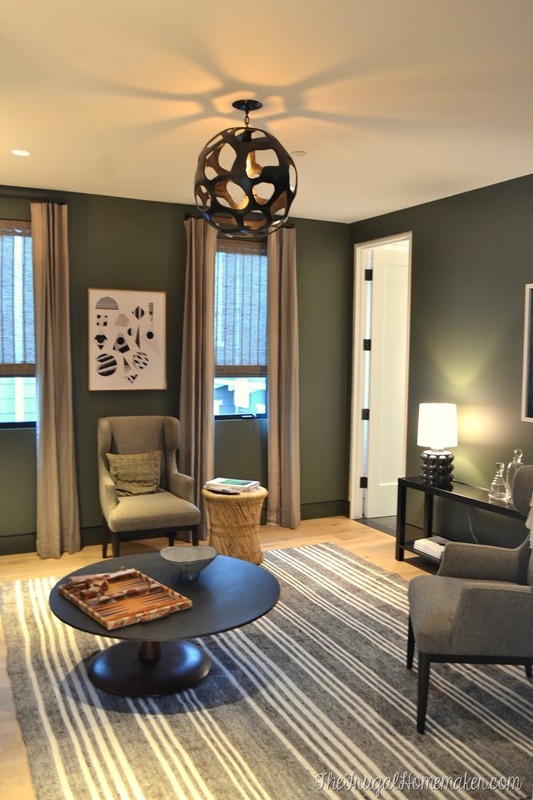 I loved the deep gray green (Naturalism by Behr Marquee), the linen curtains, the chairs – just about everything about this room! 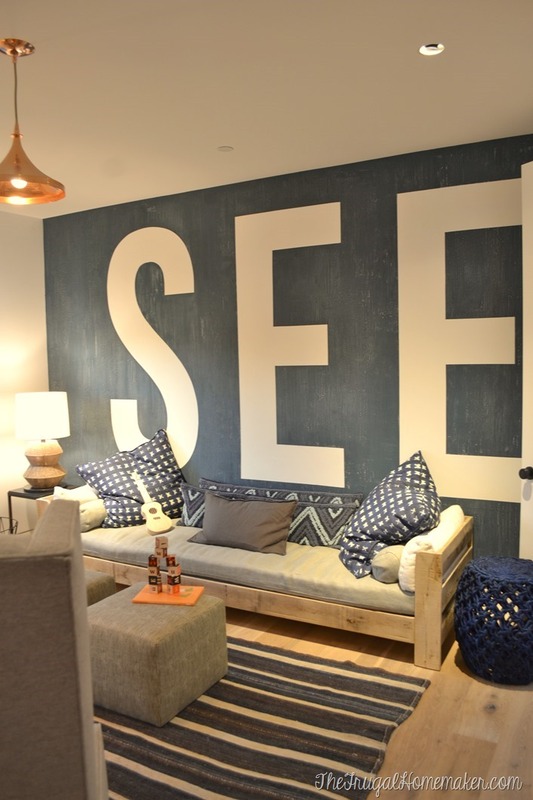 The playroom was another favorite – that accent wall was textured and was a pretty indigo blue color. Wouldn’t it be so fun to do that in a kitchen with “EAT” or in another room with maybe letters with kids names? And that pallet looking bed – LOVE! 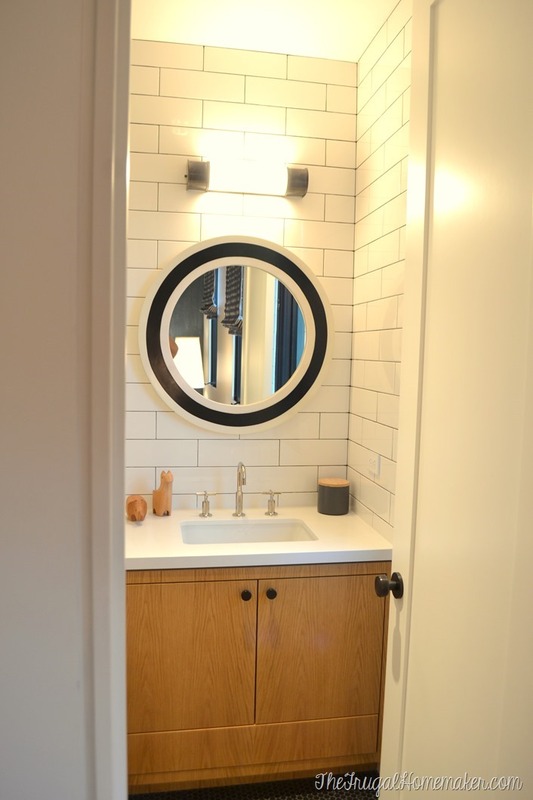 The bathrooms were gorgeous too with lots of white subway tile but done with dark gray grout. This master was another one of my favorites – oh to wake up to that view and those open doors every morning! This room was painted in Statuesque by Behr Marquee. 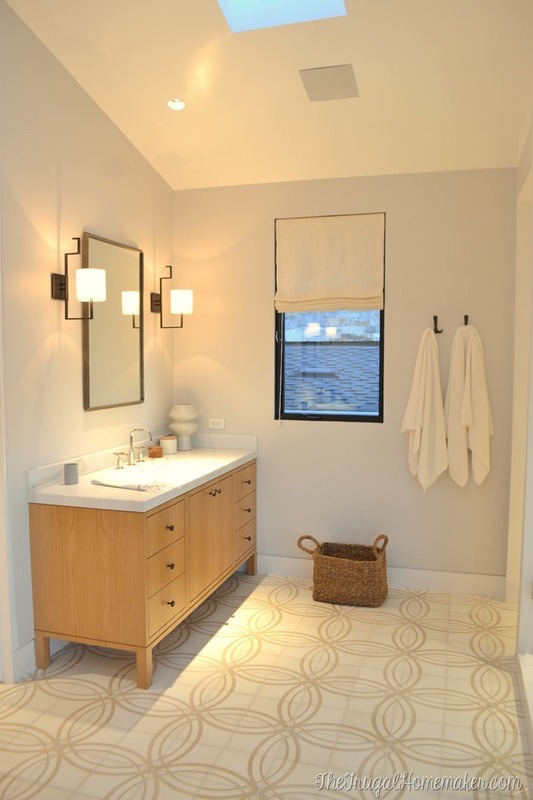 This was the master bathroom – felt like spa! And I think my entire bedroom could have fit in the closet. I think I might even enjoy doing laundry if I was doing it in that room. And I could definitely get some work done in that office… once I stopped staring at the gorgeous ocean scenery surrounding me. But the outside of the house and the backyard was my absolute favorite. You don’t get much green space in California but they had maximized every inch of it with a modern pool and combined hot tub, a fire pit, herb gardens, citrus trees, and multiple seating areas. We got to enjoy dinner and the sunset while we relaxed in this outdoor space. The living room had these huge glass doors that slid completely open to make this one huge space. It. was. amazing. Did I mention California has no mosquitoes, no flies and the weather was perfect – upper 70’s? I am not sure I would ever be indoors if I lived there. Liz with Liz Marie Blog, Robin with All Things Heart and Home, Kim with Newly WoodWards, Amanda with Small Home Big Start, Jennifer with Clean and Scentsible, Abby with Just a Girl and Her Blog, Jennifer, Caylin, Mandy with Sugar Bee Crafts, Debra, Kate with Catching Up with Kate, me, and Lindsey with The Pleated Poppy. The next day we were off to the Behr corporate offices and manufacturing plant. 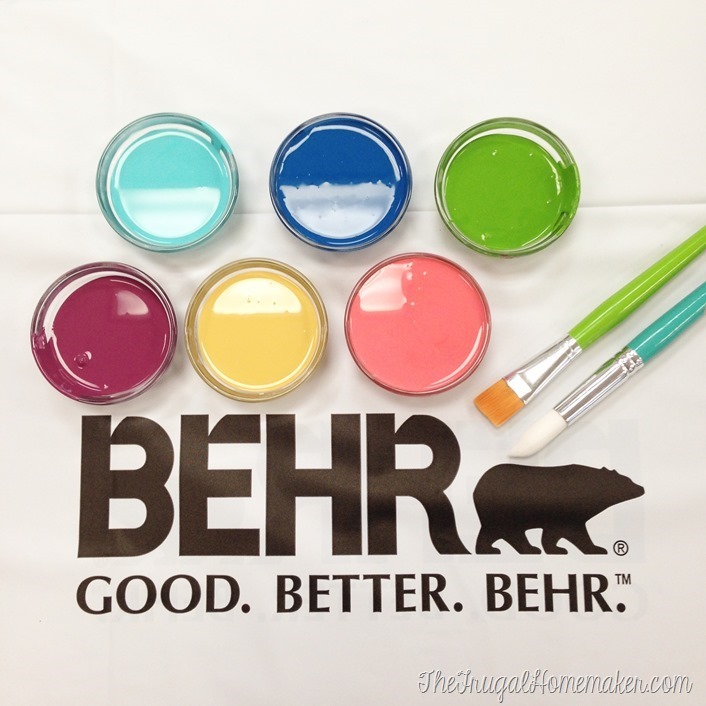 We learned all about how Behr Marquee paint was developed, how and why they chose the colors that they did, and we even got to do a some crafting with these gorgeous Marquee colors. 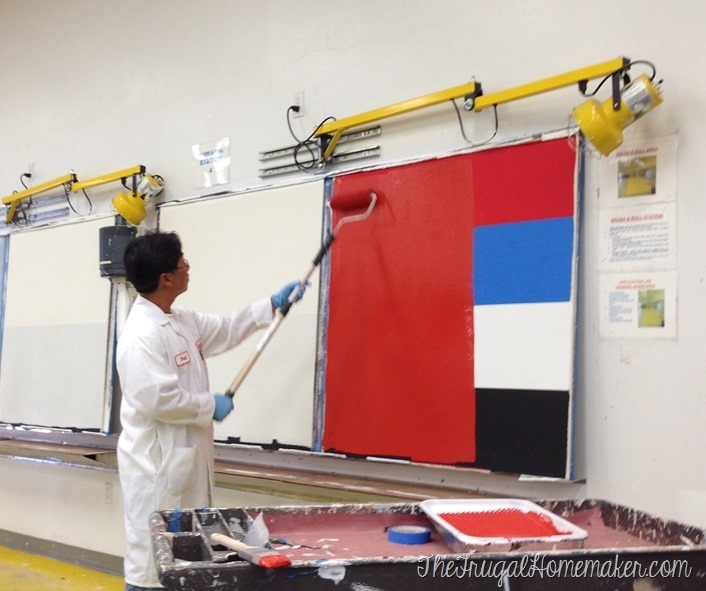 Next was the test lab where we saw how they test and develop the paint. We all loved Paul the painter and he gave us some great tips on painting that I can’t wait to try (and of course share!) soon. Here he is demonstrating how well the Marquee one coat coverage really works with a beautiful red color. I loved using the Marquee paint in my master bedroom – you can see how well it covered in my room here. I was already super impressed with the paint before I went but seeing how much goes on behind the scenes and the science of it all, I am really sold on Behr Marquee paint. 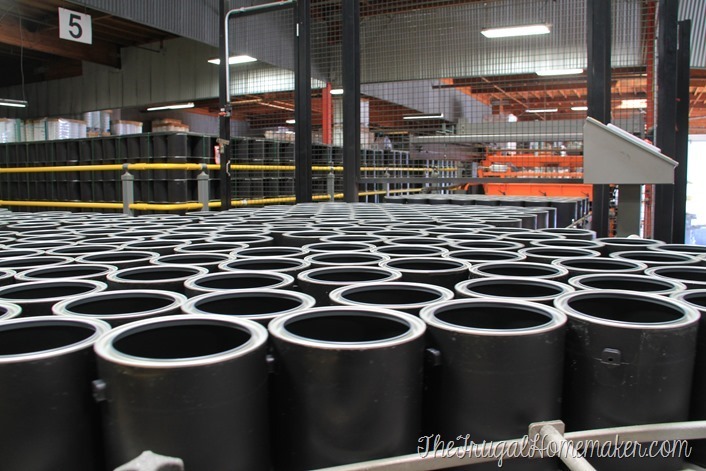 Then it was off to the plant where we saw how the paint was made, mixed, packaged, and then shipped off to a Home Depot store near you! Look for the Marquee display in your store soon if it isn’t already there. I would love to know if you try it or what color you would like to try. Sadly it all came to end too soon and I was once again boarding a plane to head home. I fell in love with California and would love to one day go back with my husband and have more time to sightsee and explore. 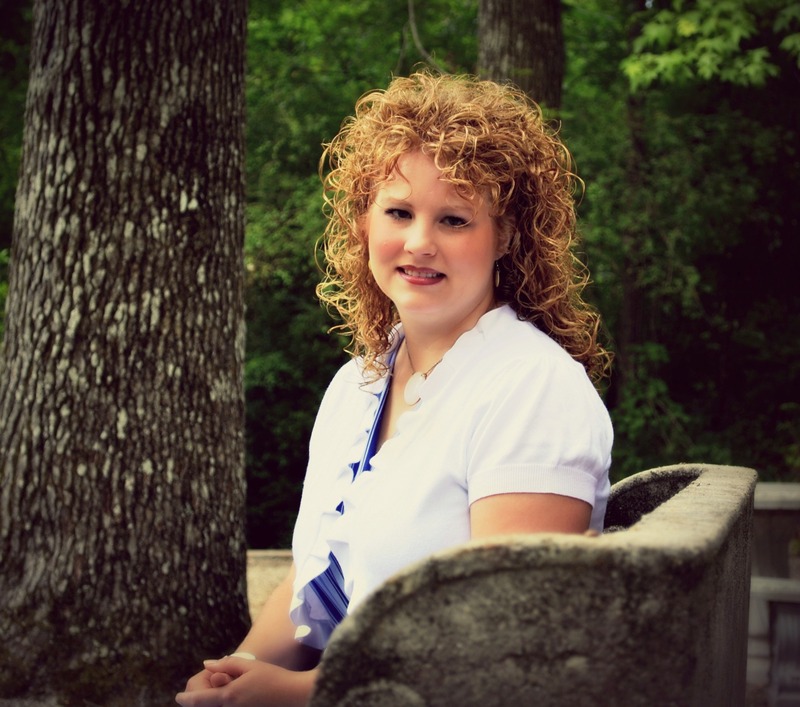 I know this post is long, but I didn’t want today to pass without acknowledging that today I also celebrate my 3rd year of blogging! I would have never imagined 3 years ago when I wrote and published that first post that I would be working with Behr and some of the other amazing brands I have worked with, taking a trip to California, and enjoying blogging and working from home as much as I do. And I have YOU, my readers, to thank for a lot of it! If it wasn’t for you reading, there would be no point in me blogging (and no fun in it for me either.) So to celebrate my 3 year blogiversary, to thank you for reading, and to let you experience just a bit of my California Behr trip, I am giving away a gallon of new Behr Marquee paint to one of you. I truly wish I could send a sample of it to all of you, but at least one of you will win a gallon and the rest of you will have to just check it out at your local Home Depot store. Enter using the Rafflecopter widget below – the giveaway will close Friday, October 3rd at midnight. What was your favorite part of the Sunset Magazine Idea House? 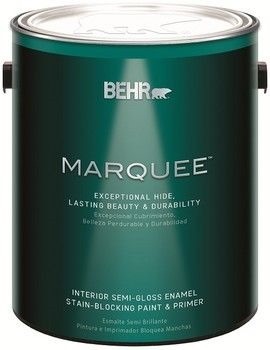 Have you seen the new Behr Marquee display at your Home Depot yet? 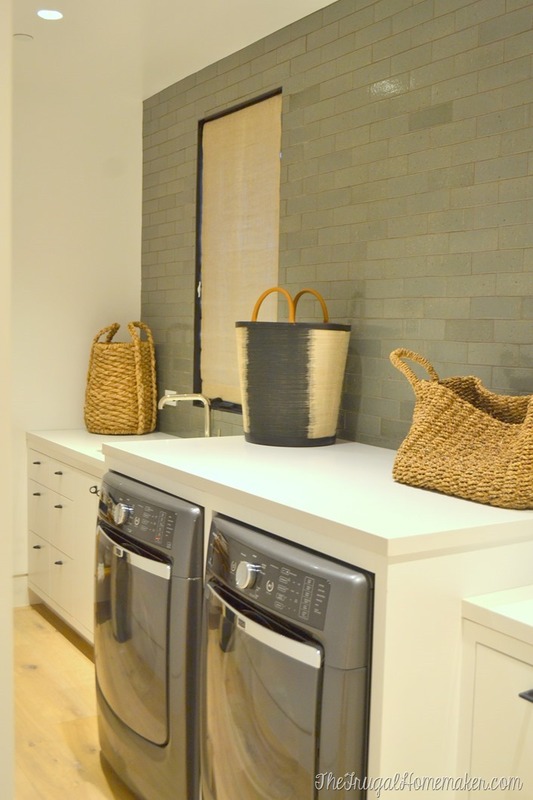 Laundry room….closet and bath were pretty impressive too! Definitely the outside area!! But if I had to pick a room inside the house, it would be the playroom. Awesome! I loved the lettered wall in the playroom…Beautiful! Loved the whole house but the laundry was probably my favorite! Wow!! Everything is so beautiful. My favorite is the play room. Love that wall!! The bathroom was my favorite, what an awesome house. So glad you got to make this fun trip. Beautiful house!! I think my favorite was the outdoor area – it was beautiful!! I loved the furniture and the “ambiance” – what a great place for entertaining! Thanks for sharing! 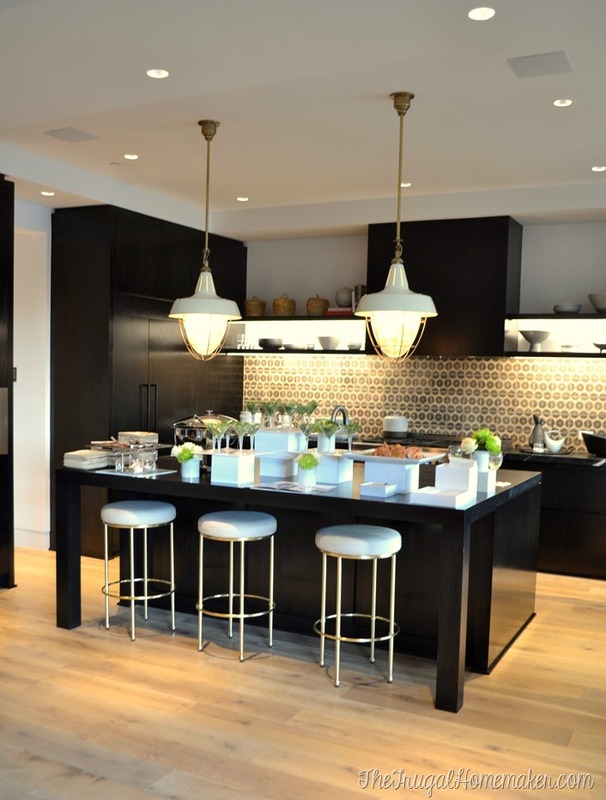 I absolutely loved the kitchen! What a great house! Beautiful! Thanks for sharing! The size of that closet is amazing! The playroom with the large letters on the wall. My favorite room was the master bath. Every inch is gorgeous, but that outdoor space is incredible. I’m with you–I don’t know if I’d ever come inside! Love the playroom with its casual, eclectic vibe. I so loved the glass enclosed shower! The outdoor area was fantastic too! I loved the master bedroom! I like the laundry room! The subway tile is gorgeous and I love the storage cabinets and work space. My favorite was the master bedroom. 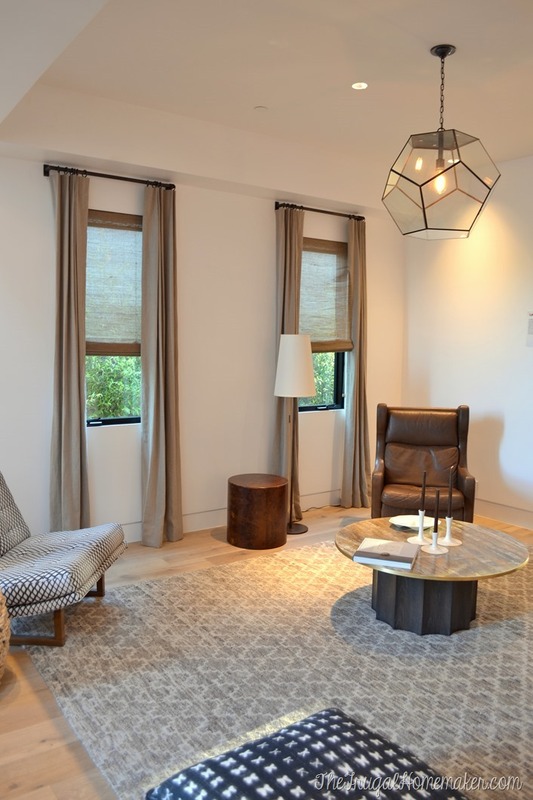 The master bedroom with the attached outside seating area–can’t you just imagine having morning coffee out there?! I too loved the gray/green room. I have some darker colors in my home and wanted to use gray in my bedroom but new it wouldn’t match…. this gray/green may be the answer! Happy Anniversary! Or is it blogiversary? I love the laundry room! I really like the outdoor space…and the bedroom…and…lol. And that office? Wow. I’ve never seen a room like that before. Amazing. Wow wow wow…love that bathroom… I would never leave! The kitchen and master bath were my favorite rooms! 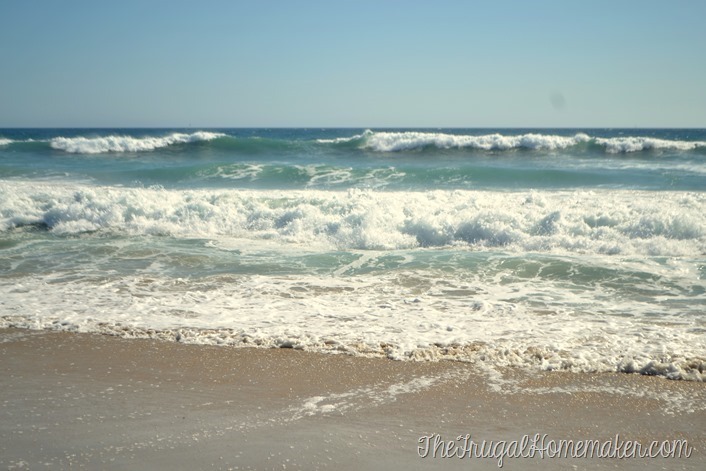 And Manhattan Beach is my favorite beach in LA!! So glad you got to visit! Congrats on three years, keep those posts coming!! Loved the room painted in the Naturalism color! Thanks! I love Behr Paint. It’s my go to choice. We’ll be painting our living room in the next few weeks. Excited and ready for a change. 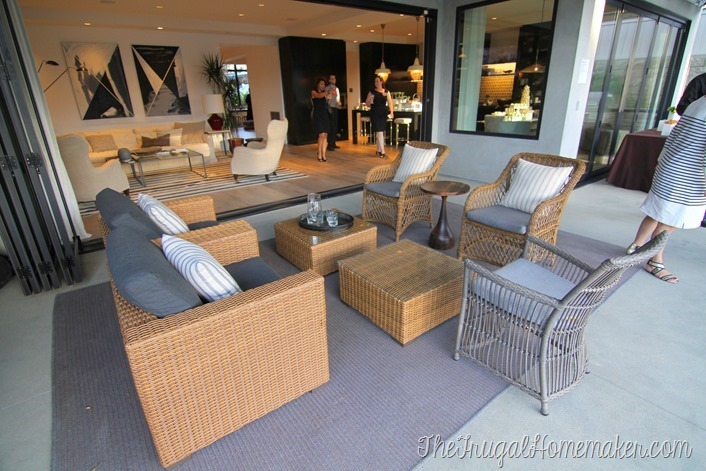 I loved the outdoor space! Indoors was probably the master bedroom. I loved the kitchen. Though it’s a more modern style than I like I kept going back to look at it! Happy anniversary! 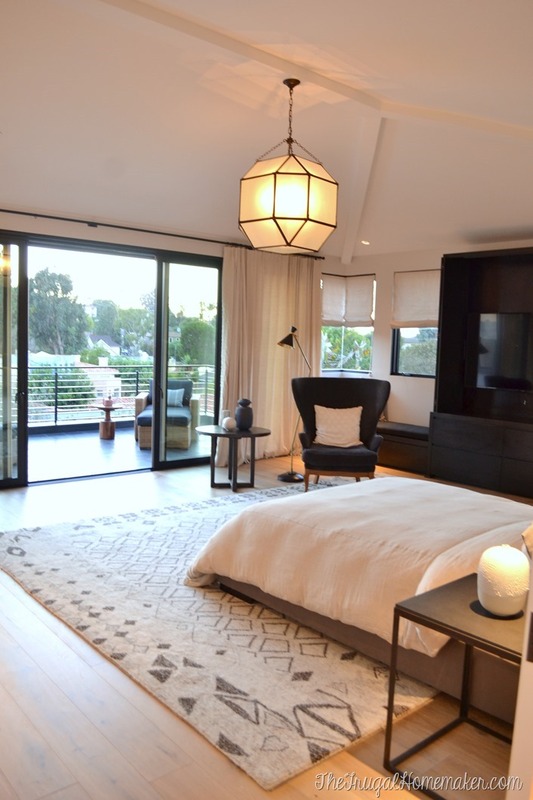 I love the master bedroom….very spa-like. Love the Naturalism paint color! Love the green room, but the outside is gorgeous! I loved the laundry room and the closet. And your dress! I like the gray green room. Looks cozy to me. I haven’t seen the display but I’m going tomorrow so I’ll look for it. I was already thinking of using this paint when I paint my family room b/c of your bedroom pics. I’ll be painting medium gray over light green. One coat would be so great! Happy anniversary and thanks for a chance to win. What a great experience to get to go to California! I really like all the information you give on your DIY projects and always look forward to what you’re up too next! thanks so much, Jenn! it was good meeting you too! Looks like you all had a great time, Cristina! Sorry I missed out on the fun! I like the bedroom that looks like a spa, i am wondering if you could tell me where the carpet that is under the bed came from. We are remolding outr bedroom and it would be perfect.